Happy New Year to you all, and thanks for being with us once again. We can’t promise that any of our books will change lives. But it’s not our job to change lives – the only person who can do that is the Lord himself. Our job is to faithfully keep sharing the good news – and praying that the seeds will bear fruit. Author Mary Weeks Millard told me with a heavy heart of a 19-year-old lad’s suicide, just before Christmas. It’s hard to think of the words to say when faced with such a terrible tragedy. Mental health issues among young people/children have hit the news recently. As Christians, we need to respond. This article in the Guardian regarding children’s mental health is an eye-opener. If you want to set up a reading group for your young people, we have discussion questions, for both books (and several others). 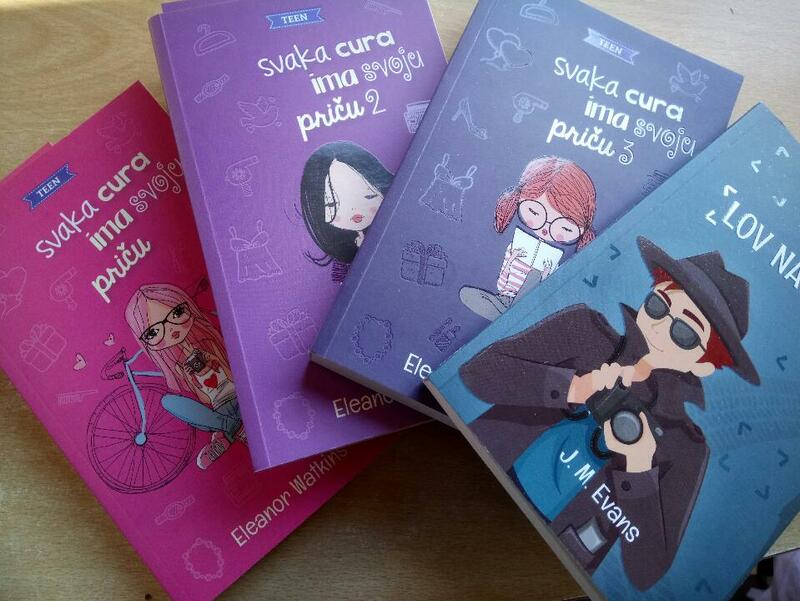 You may remember that a few years ago, some of our books were taken up by a Christian publisher in Croatia. Wouldn’t it be great for our books to reach more non-English speakers? We’d love our books to be available worldwide without having to ship them. CLC are setting up a facility to be able to do this… The Birthday Shoes is the guinea pig book! All our books are now recorded! When I have the edited files, we can start to make them available. Some of our book covers are looking dated. We need some new ones! This year I’d love to get more photos of young people reading our books, more reviews and even videos… if you can help with this, we’d be hugely grateful – just send them in! 🙂 N.B. We don’t use real names with photos, or locations. Yay, we need to produce more books! We’d love to have a bigger presence online. Please join us on facebook and twitter, and share our posts and links and news with your friends. My twitter handle is @janetwilsonxxx. Love to see you there! This is a resource I run for writers. Please pray whatever I do will be useful. If someone well-known recommends a book, customers are more likely to buy it. Sooooo, it would be great to have some well-known people recommend our books. If you know anyone, please do pass on the info! 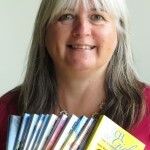 I am running a workshop at the Hand in Hand Conference Children’s Ministry Conference in Eastbourne (3-5th February), on the subject of sharing faith through books. Please pray for a good response. 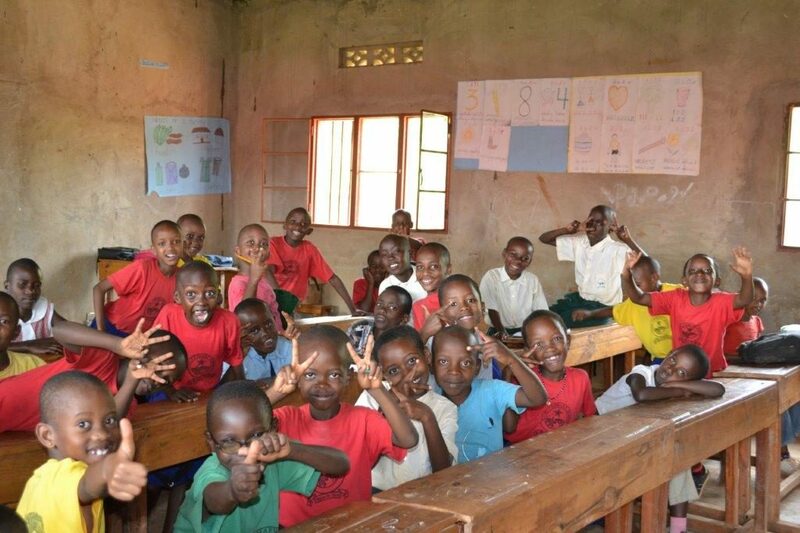 The box of books we sent to the Star School in Kigali has still not arrived – please keep praying! These children don’t have a lot of reading books, so they will be well used. 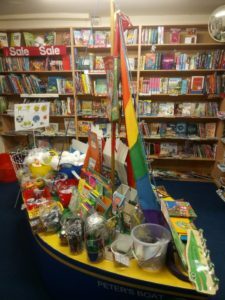 I visited Manna Christian Bookshop in Streatham last week. It was great to see our books on the shelf! Please do support your local Christian bookshop, if you have one. Buying online is convenient, but along with all ‘real’ shops, they need our support to keep going. And I think that’s it for now! May your life be filled with faith and fabulous fruit in 2019!.. and once more, thank you for sticking with us for another year. We couldn’t do it without you. P.S. Some of our newsletters are filled with hope and joy. Having re-read this one, I feel more of a determination and readiness to fight. Please keep fighting with us. We can not fight alone.